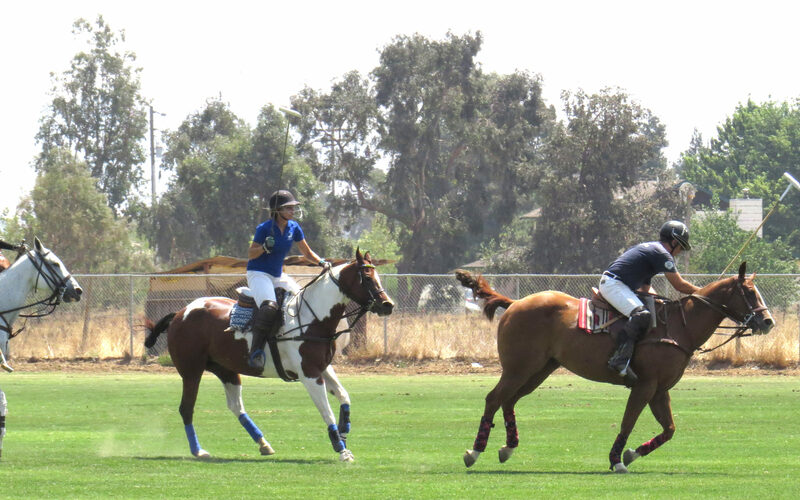 Photo by Marty Cheek * South Bay Polo Club players compete during a recent match at the facility on Masten Avenue. 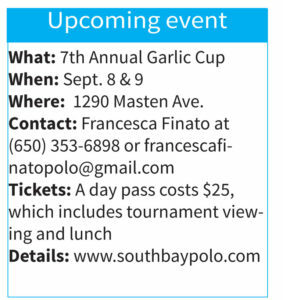 Located at 1290 Masten Ave. in northeast Gilroy, the South Bay Polo Club is a welcoming experience that feels more like a friendly group outing than a high-society event. And that’s just fine with its members as well as those who come out to the bucolic setting to watch and learn. 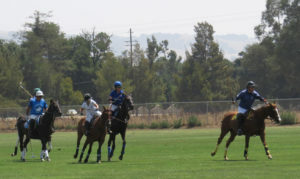 Photo by Marty Cheek * Two South Bay Polo Club members get ready to strike the ball during a match in August. Photo by Marty Cheek * Two riders race for the ball during a recent polo match. Despite the sport’s reputation, many people are surprised that it doesn’t take an exorbitant amount of money to play. You can play a full game and have two horses with a little expendable income. 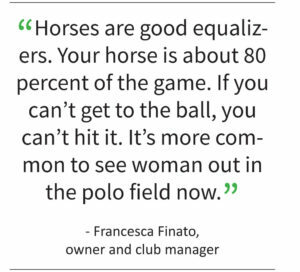 For example, for $200 per session, South Bay Polo Club offers Introduction to Polo clinics every Wednesday night at the Horse Park in Woodside. The clinics run through September. The $200 fee covers a horse and everything you need — and you can play the first day. It’s a fun way to get into the saddle and discover the sport. 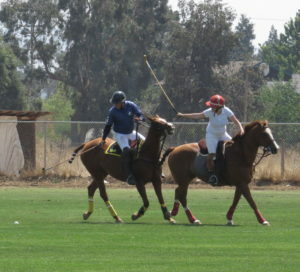 South Bay Polo Club has 10 horses. If you have your own, they can board it for you. 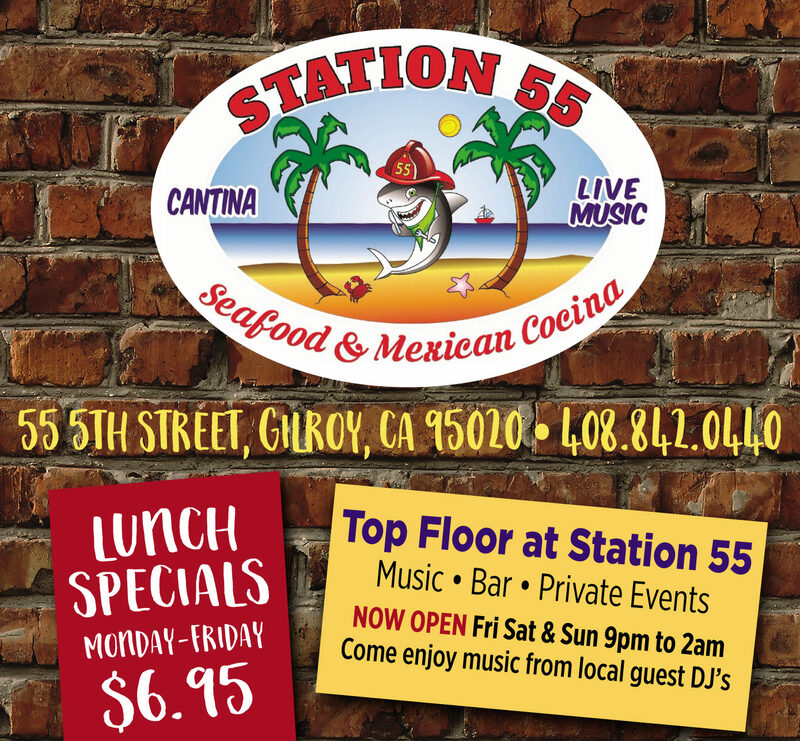 Finato calls it a “turnkey operation.” Just show up and get on it. Sixty-one-year-old Ann Terranova is a perfect example. 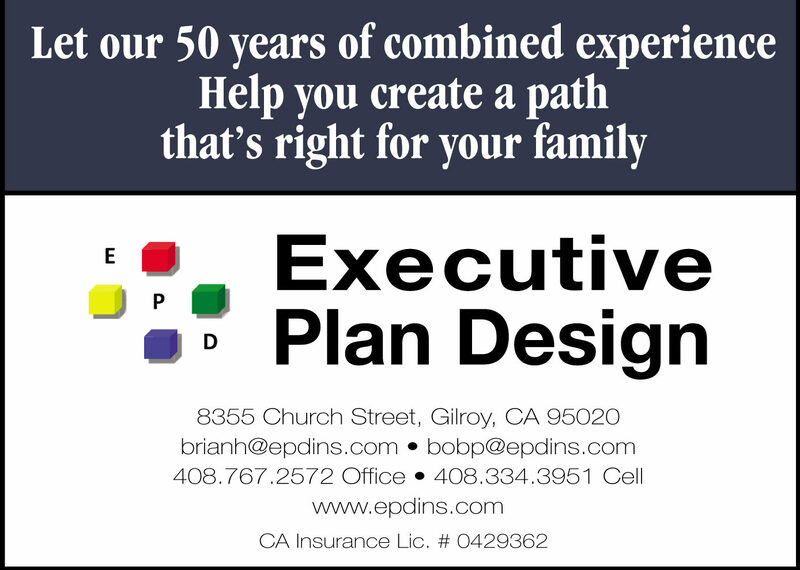 A financial planner with an office in San Francisco, Terranova hadn’t thrown a leg over a horse until the age of 52. Her son says polo is his mom’s answer to the empty nest. “I always wanted to ride as a little girl, and I never got to,” she said. With retirement approaching, she started thinking, “What have I always wanted to do?” The answer was . . . horses. Terranova never looked back. 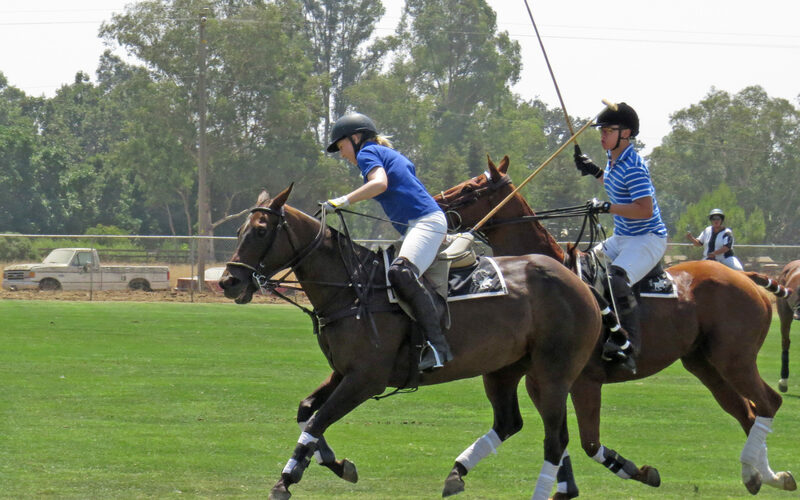 She started playing polo a few years ago and created the life she always wanted. She’s seen benefits on and off the field.